How did you find Twirly Girls? Kaleena and Melissa brought me to Grace’s class one day and I never left! 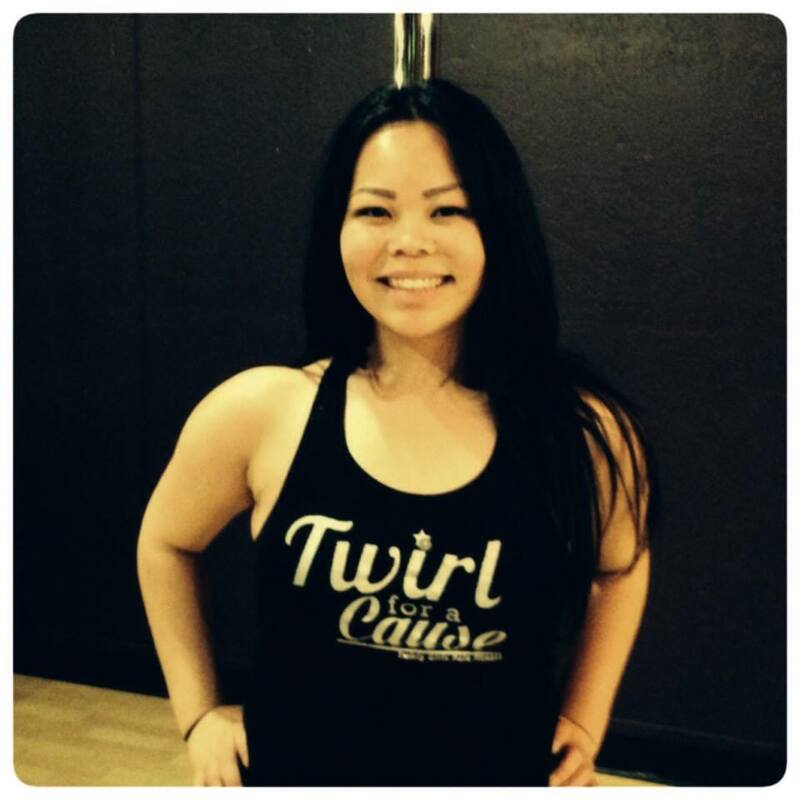 How long have you been a Twirly Girl? Did you pole dance before becoming a TG? Which classes do you take? Who is in your instructor? Triple Ts on Tuesdays with Bel, and I’ve taken Graces’ Graceful Moves classes. Which moves were you most excited to nail? The modified sit that Ellen taught me for Rita’s fundraiser (Thanks Ellen!) 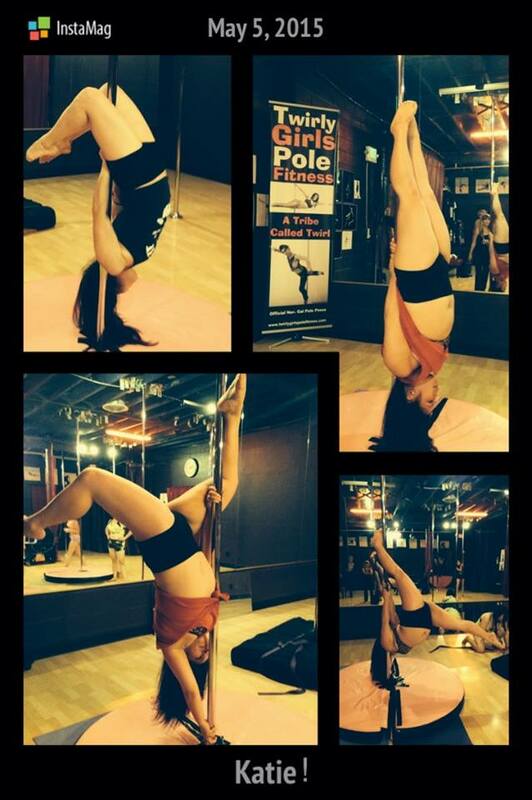 Katie also recently nailed pencil, butterfly, and a flatline! Have you taken any workshops? Which was your favorite? Not yet, but I am sooooo excited for the Be Heard workshop, May 20th! Do you like to dance in heels or barefoot? What is your favorite song to dance to at the moment? Share something about yourself that not many people know.